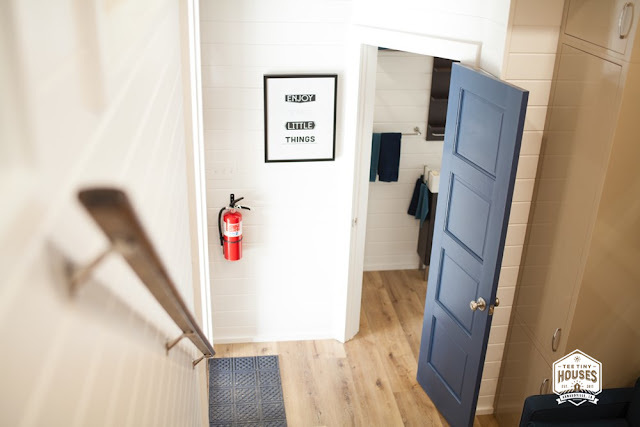 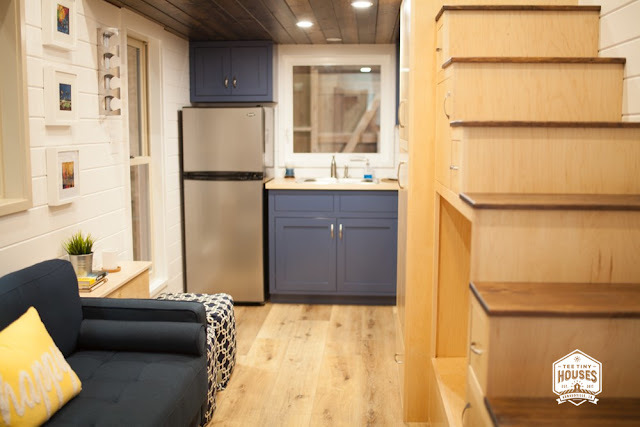 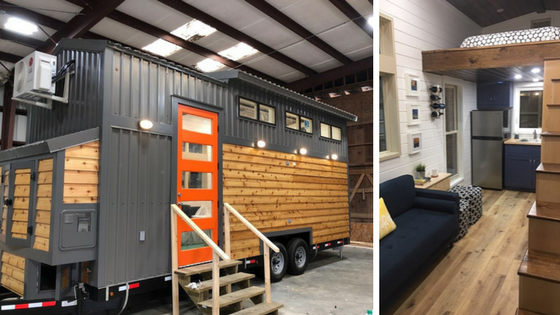 From Tee Tiny Houses of Arnaudville, Louisiana, is this eye-catching tiny house. 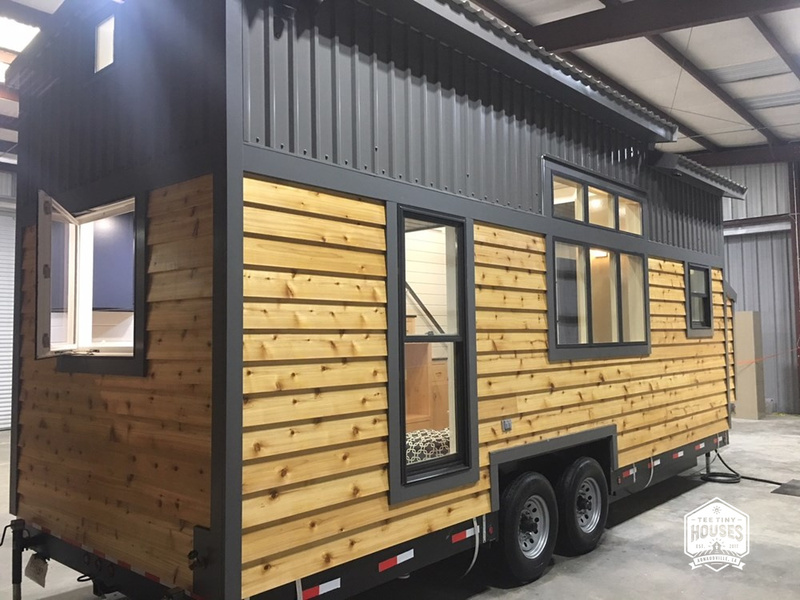 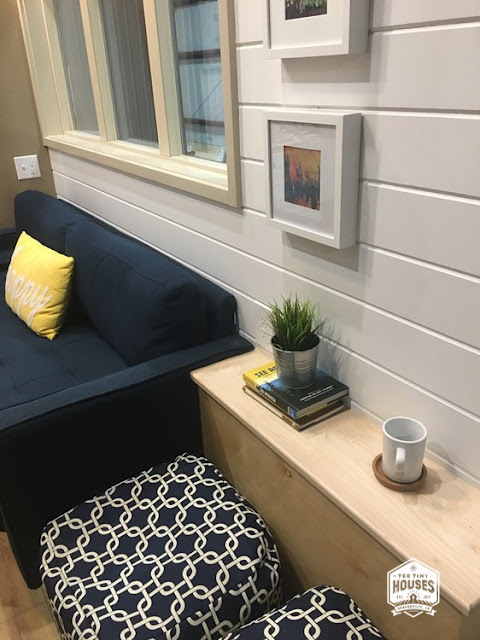 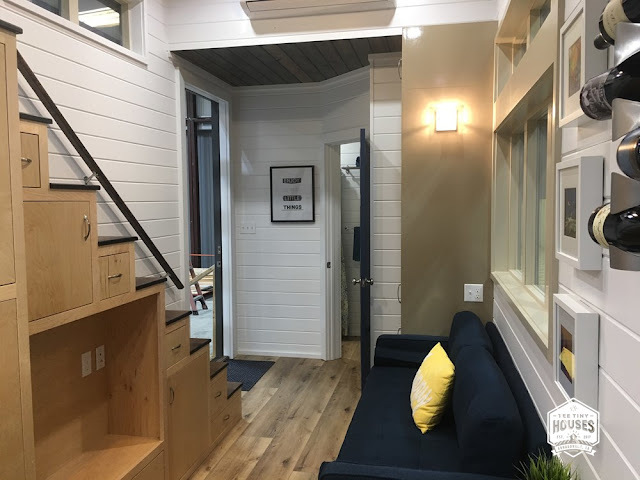 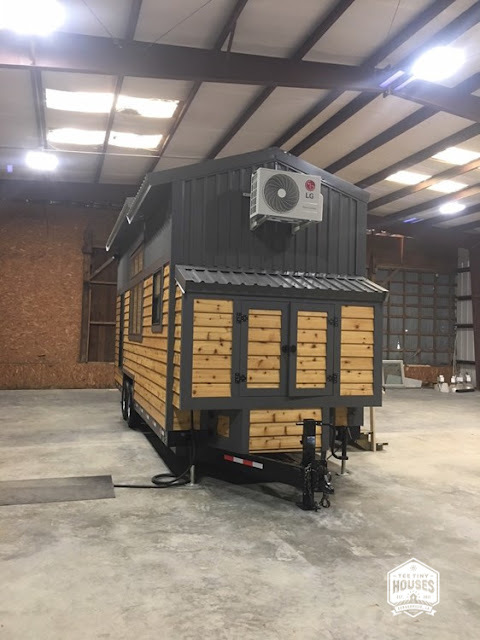 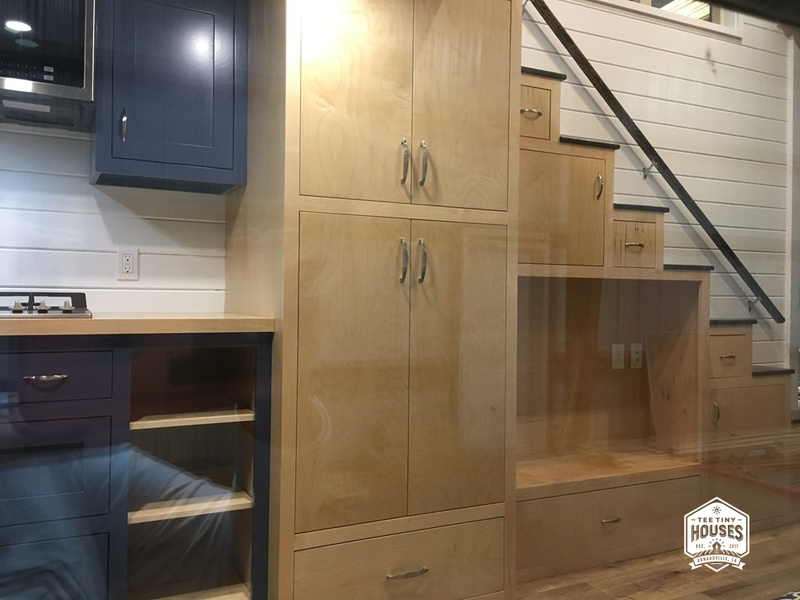 Named "The Zaunbrecher", the home spans 24' x 8' and has an interior size of 271-sq-ft. Its exterior features a metal roof with grey metal and stained cedar siding. Inside the home are beautiful engineered wood floors. 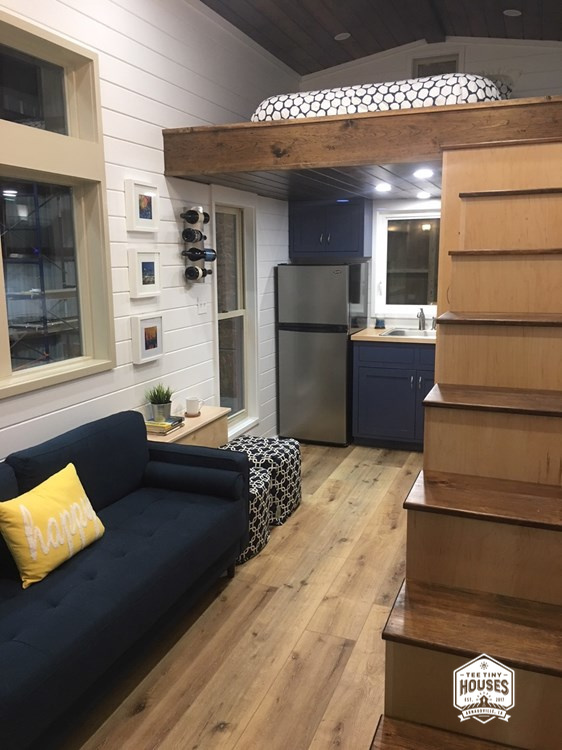 The living room has a built-in sofa, a ceiling fan, foldable desk, and custom birch stairs leading into the home's queen-sized loft bedroom. 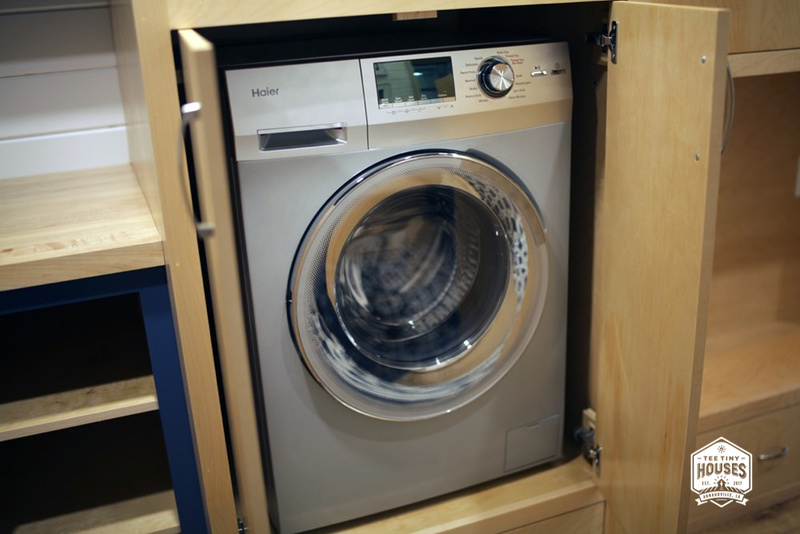 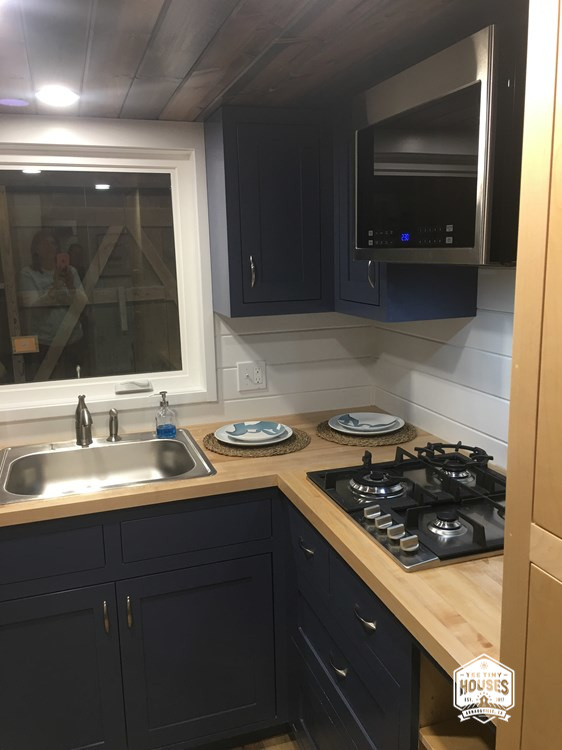 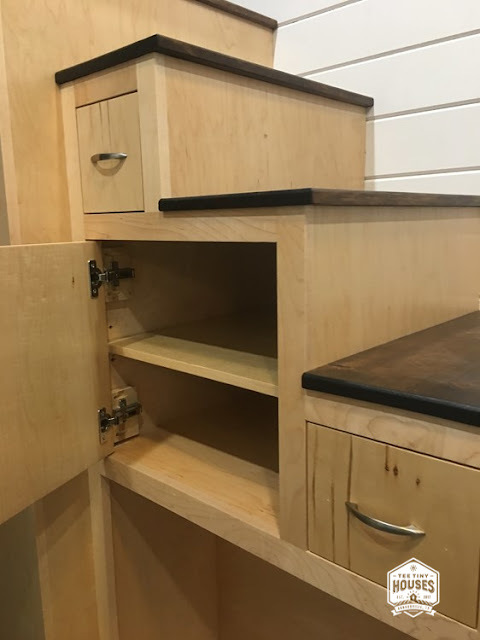 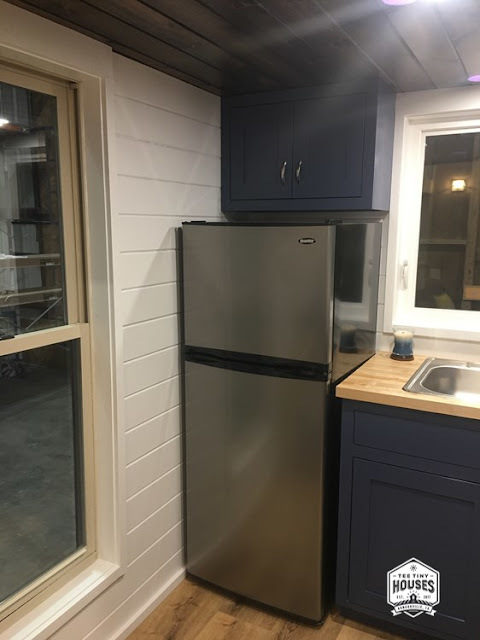 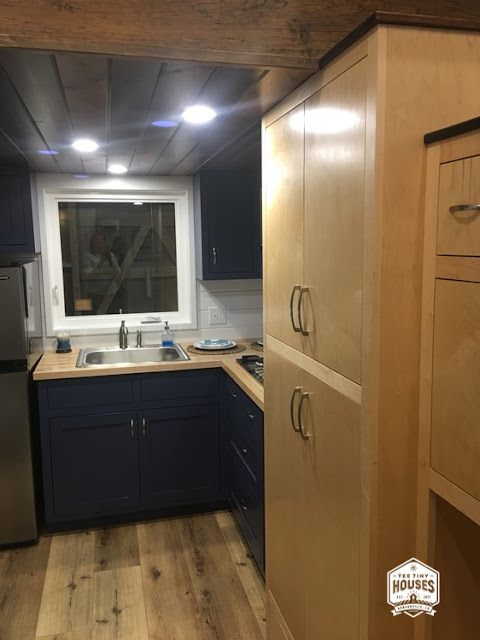 The kitchen comes outfitted with butcherblock countertops, custom cabinets, a full-sized fridge, a four-burner propane cooktop, microwave, and two propane tanks. 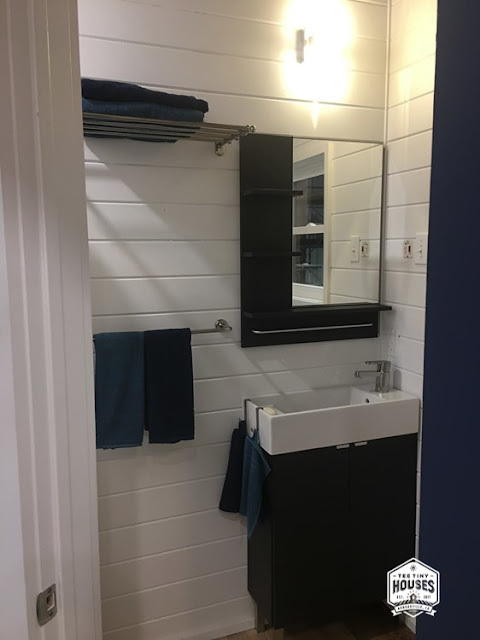 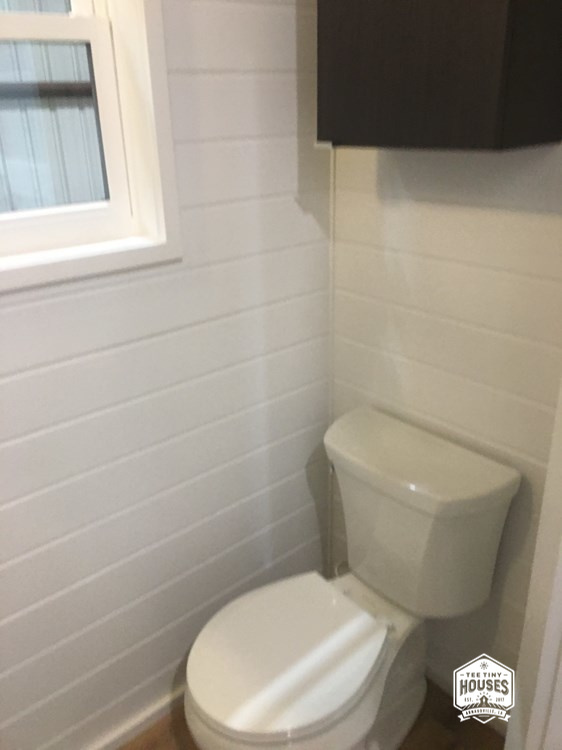 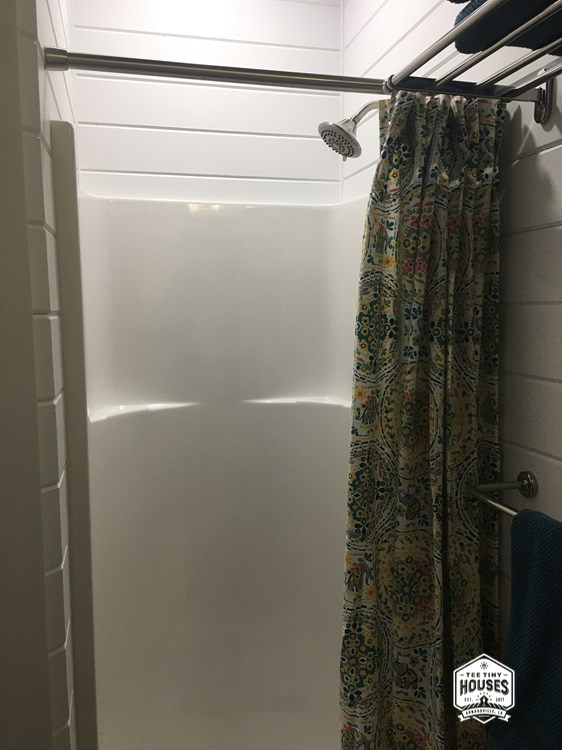 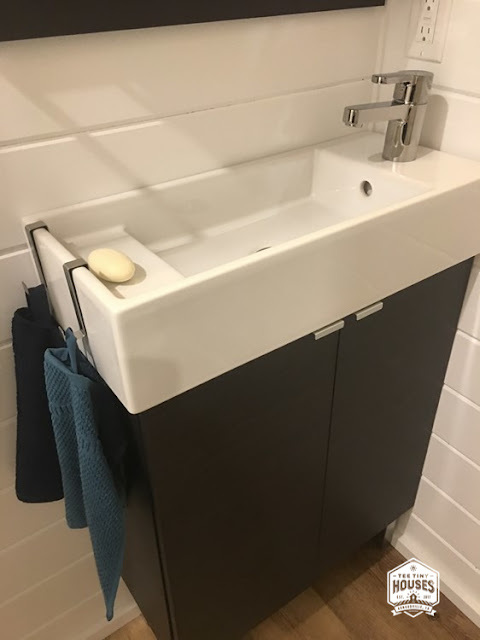 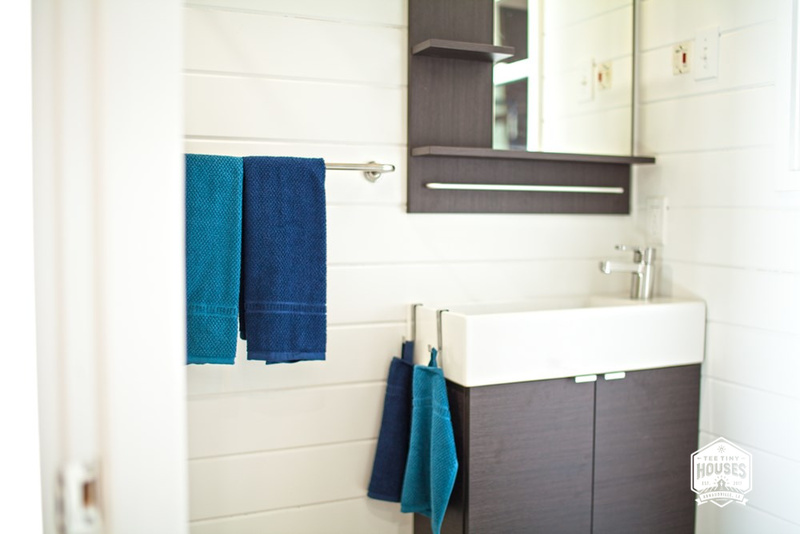 There's also a bathroom with a 32" shower, a fulls-zied toilet, and a vanity with sink and mirror. 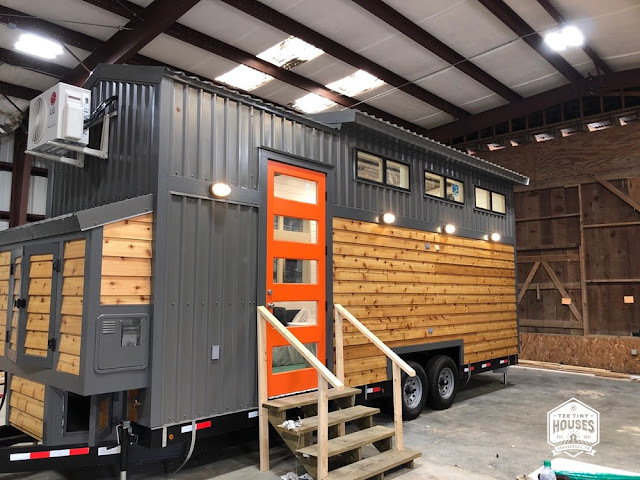 The Zaunbrecher is currently available for sale for $86,900. 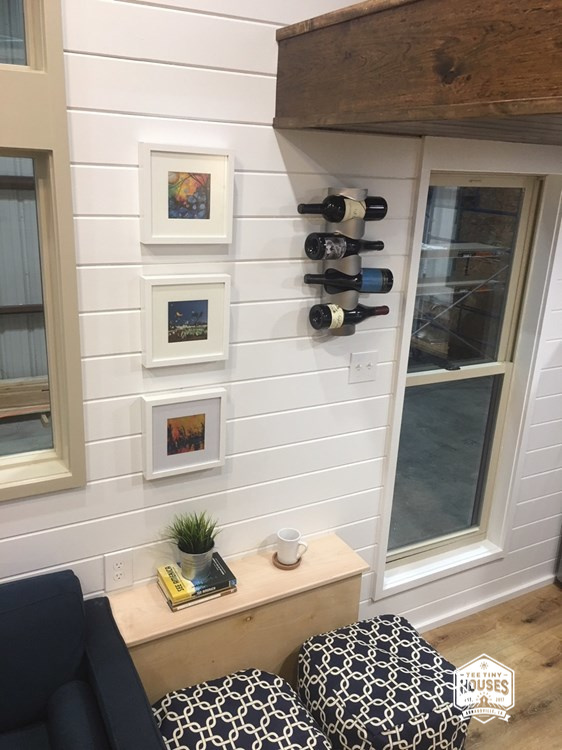 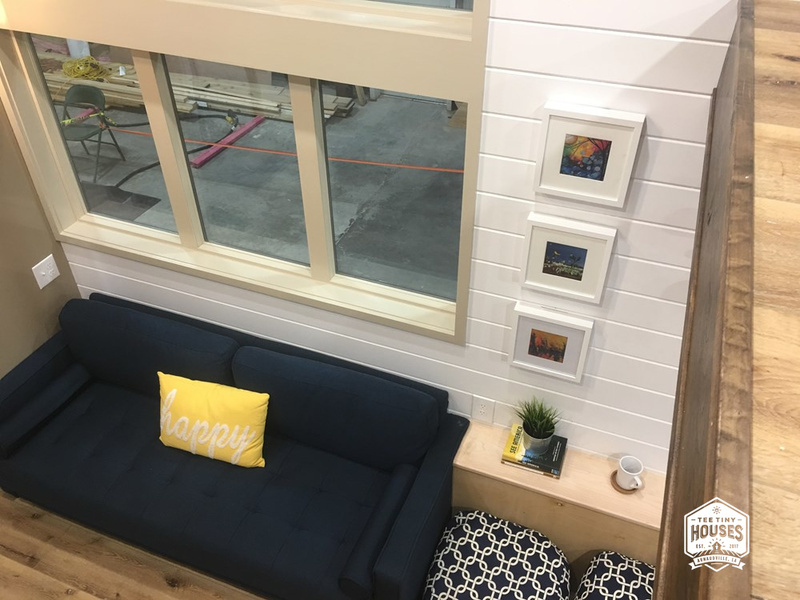 Contact Tee Tiny Houses here for any further questions and/or inquiries.